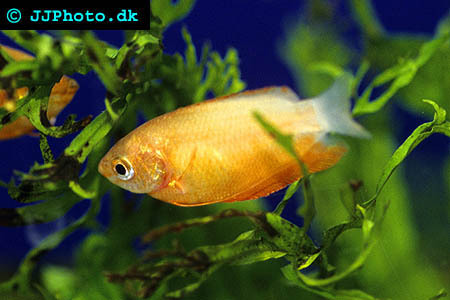 Company: Trichogaster chuna (Honey Gourami) is best kept with other smaller peaceful fishes. Honey Gourami should not be kept with fishes larger than themselves. 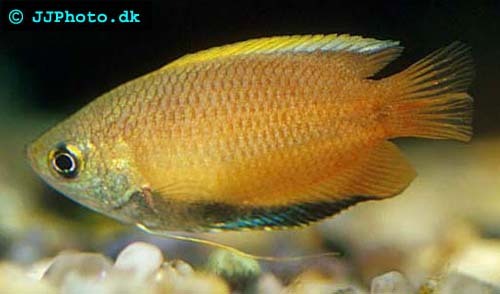 Aquarium setup: Honey Gourami can be kept in small aquarium tanks. The aquarium tanks should be densely planted and contain floating plants. Dimmed light is preferred as well as a dark bottom. Avoid heavy circulation. Feeding: They accept flake food. Breeding: Trichogaster chuna (Honey Gourami) is bubble nest builders. They can be hard to breed but a change in the water temperature and a lowering of the water levels can help trigger spawning. The male builds the bubble nest on the surface among plants. He guards the eggs until the fry is free swimming.